Moscow has a lot of amazing buildings. But there is one that is never shown to tourists who come to the Russian capital. It’s located in the very center of the city, at 3rd Tverskaya-Yamskaya Street. This building is not unusual in terms of architecture, but rather because of the purpose it serves. The home’s owner, 44-year-old Jiří Podhola, calls the home a “unique site” for a reason. To assure us that his statements aren’t coming out of thin air, Mr. Podhola immediately cites impressive figures. Over 70 Czech companies have offices in the Czech House, including Tatra, Škoda, Sigma, Hamé, Alta, and ČSA (Czech Airlines). Plus representatives from over 1,000 Czech companies come to the Czech House annually in order to get acquainted with the business climate in Russia, get to know their Russian partners better, and figure out Russian legislature. According to Jiří, the Czech House is a lot more than just a hotel where you can spend your free time for Czech businessmen. It’s actually a business platform. The Czech House offers them a wide range of services, such as: all the information they need on the nuances of doing business in Russia, translation services, and legal assistance. The Czech House can also provide spaces to hold presentations and negotiations. “We help our business people who are interested in working with Russian partners in just about every way possible,” Mr. Podhola emphasizes. In order to make this happen, all the necessary information about the Czech House can be found on the websites of Czech Ministry of Foreign Affairs and the Czech Ministry of Industry and Trade. Information is also disseminated at international exhibitions, conferences, and forums. The Czech House also has a Club for Czech Entrepreneurs, which regularly holds different kinds of events. Both Russian and Czech business people come to the events in order to hold professional discussions and jointly resolve problems that come up. The club brings together owners, co-founders and representatives of companies in the Russian Federation in order to create a friendly platform that facilitates the establishment of personal and business contacts. Every meeting adheres to a program that’s prepared in advance. Programs focus on sharing information, news, and entrepreneurial experience on the Russian market. The programs for the meetings are based on the needs and requests of club members, who can actively participate in the club’s activities. Incidentally, the story of how the Czech House appeared in Moscow is just as interesting as the purpose it currently serves. The decision to create the house was made back during the Soviet era, when the USSR and Czechoslovakia played key roles in the Commonwealth of Socialist States. However, the house wasn’t finished until 1986, when both countries were already experiencing socio-political changes triggered by Mikhail Gorbachev’s perestroika and glasnost. Because of these political changes, Václav Havel became President of Czechoslovakia in December 1989 and Prague started to slowly turn its back on Moscow. “Everything Russian was considered bad and the country started to turn toward Western countries,” Mr. Podhola says. Who needed the Czech House under these circumstances? Luckily, the house wasn’t destroyed or sold! The Czechs soon realized that the West won’t be welcoming the country with open arms. Moreover, it became clear that the West was also interested in conquering the Russian market, gladly filling niches that even Czechoslovakia had abandoned. In any case, 10-15 years later, in the beginning of the 21st century, the Czech House was in demand like never before. According to Jiří, when representatives from Germany expressed the desire to purchase the Czech House, they were denied. A lot of countries really are jealous of the Czech House. Nobody else has a business structure like this that helps develop trade and economic relations with Russia. Prague understands this and values the activities of the Czech House. The Quality Mark, which was issued to Jiří Podhola solemnly at the Prague Castle in November of 2014, serves as testament to this fact. To be fair, it’s worth noting that after 2014, when sanctions against Russia were introduced and the ruble plummeted, trade turnover between Russia and the Czech Republic dropped by almost half. But things are changing for the better now. In the first 6 months of 2017, trade turnover increased by 20 percent. It’s hard to list all the spheres of cooperation between our countries today. They include the energy sector and transportation – reactors, boilers, machines – the pharmaceutical sector and medical equipment, photo and film equipment, nanotechnology and innovations, sports supplies, toys. Machines, equipment, and vehicles account for 61 percent of Czech exports to Russia. “We’re happy about this trend,” Mr. Podhola says, “It seems to us that we’re entering a good period for doing business.” He gives another example to back up his opinion. In October 2016, the Czech company BRISK Tábor, one of the five largest global manufacturers of spark plugs, opened a new factory called BRISK RUS in Togliatti, Russia. The Czech Minister of Industry and Trade Jan Mládek attended the opening event. During his speech, he said that this was a good example for other Czech companies that want to enter the Russian market. This is true. 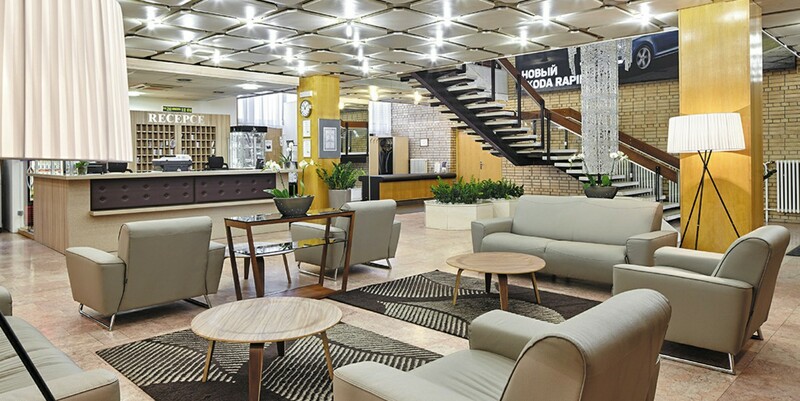 Even though Czech companies operating in Russia optimized their expenses after 2014, few of them plan to leave a market with so much potential. Why? “Companies perfectly understand that if you leave Russia now, it will be very difficult to come back once things are going well again,” Jiří Podhola says. All the niches will already be filled at that point, by Germans or the Chinese, who are taking a lot of initiative on the Russian market right now. But this is unlikely to happen. Czech business people aren’t planning to give up their place. And the Czech House is here to help.